Beetles malayalam movie directed by Jayaraj will bring young actors Asif Ali, Aju Varghese, Sreenath Bhasi and Shekar Menon in lead. The movie which is themed on the story of a band team would be a visual treat for the movie lovers. After receiving mixed feedback about his recent release 'Camel Safari', it is expected that Jayaraj would start the work of 'Beetles' very soon. Film Maker Jayaraj who is known for his brilliance behind the screen is gearing up to enthrall the audience with an innovative theme set on the backdrops of a music team. After receiving mixed feedback about his recent release 'Camel Safari', it is expected that Jayaraj would start the work of 'Beetles' very soon. Heartthrob Asif Ali will lead the show with Aju Varghese, Sreenath Bhasi and Shekar Menon joining his team keeping their hearts close to the leader. Jayaraj who has helmed the blockbuster 'For The People' is one among the directors who is much aware about the taste of the young movie lovers. Even though few of his projects could not impress the audience, his key passion to bring innovation in each story gives him space in the top league of film makers. With the young actors joining together for a movie, with no doubt 'Beetles' would be a visual treat for the movie enthusiasts. 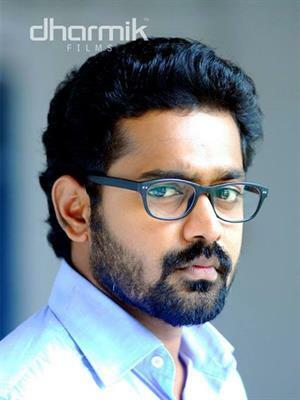 Asif Ali is riding high and currently standing at the peak of his acting career with a handful of movies in kitty. The actor who has done 30 movies in less than 4 years had done his best in 2013 getting featured in 'Kili Poyi', 'Red Wine', and Honey Bee 'and'D Company'. His upcoming releases include 'Pakida' and 'Bicycle Thieves'. Asif has already signed for few movies including debutante Ajith Pillai's 'Mosayile Kuthira Meenukal', Manoj Palodan's 'Driver on Duty', 'Town 2 Town', 'To Noora with Love' and 'Honey Bee 2'. As like his former movie 'For the People' which kept the audience intact with its novel way of telling the tale and its interesting music, 'Beetles' has also created much hype. So let us hope that, this young generation movie would bring more entertainment for the viewers.